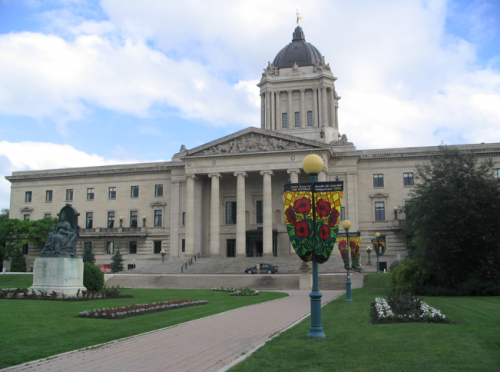 The Province of Manitoba, Department of Municipal Relations has announced a new intake for community development funding applications, specifically the Community Places Program, Hometown Manitoba, Neighbourhoods Alive! and Partner 4 Growth. The following post contains information from the press release, website and conversations with department staff. Applications will be accepted until May 28, 2018. All project expenses must be incurred by March 31, 2019. Municipal Relations intends to turn around applications in approximately 6-weeks. There is no limit to the size of project. Existing multi-year agreements with Municipal Relations will honoured in 2018/19. Municipal Relations will be spending $20 M in 2018/19, including the multi-year agreements. Otherwise, there is no news related to existing multi-year agreements, or the possibility of future long-term funding. There is no formal definition of social innovation; rather, political staff indicated they are not looking to do business as usual. Examples of support for social enterprise includes start-up costs for new ventures, improvement of existing activities and equipment and capital expenditures. Salary costs may be an option, but not necessarily. An ability and plan to demonstrate outcomes is being heavily emphasized, and groups are encouraged to include costs for outcomes evaluation in their application. Organizations may apply to conduct an SROI or similar impact analysis on existing activities. While Municpal Relations has a expressed a desire for new programming, existing programming that fits their criteria and priorities is eligible. It is unknown how long these areas will remain priorities for the Department.